Pammy Blogs Beauty: Cynthia Rowley Beauty Collection Launches at Birchbox: Palette and Eyeliner Review! Cynthia Rowley Beauty Collection Launches at Birchbox: Palette and Eyeliner Review! Have you seen the new Cynthia Rowley Beauty collection at Birchbox??? I always get so excited when new products launch at Birchbox. Those Birchbox girls sure know how to scope out items that I am destined to love! Not to mention, I am a huge fan of Cynthia Rowley's style! As a Birchblogger, I had the chance to test out the Cynthia Rowley Beauty Collection Eyeshadow Palette No. 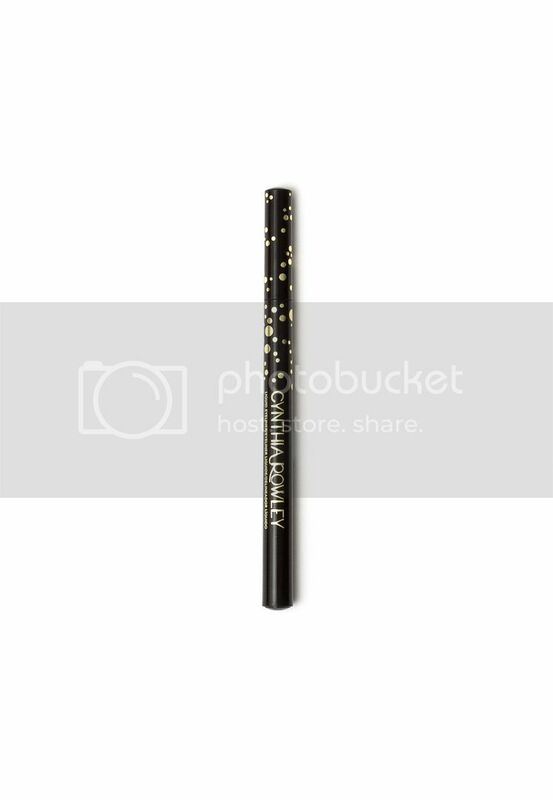 1 and the Cynthia Rowley Beauty Liquid Eyeliner. I have had so much fun playing around with these items and creating nice neutral day and night looks. Please click "read more" below to learn more about these Birchbox-exclusive items from Cynthia Rowley Beauty!!! 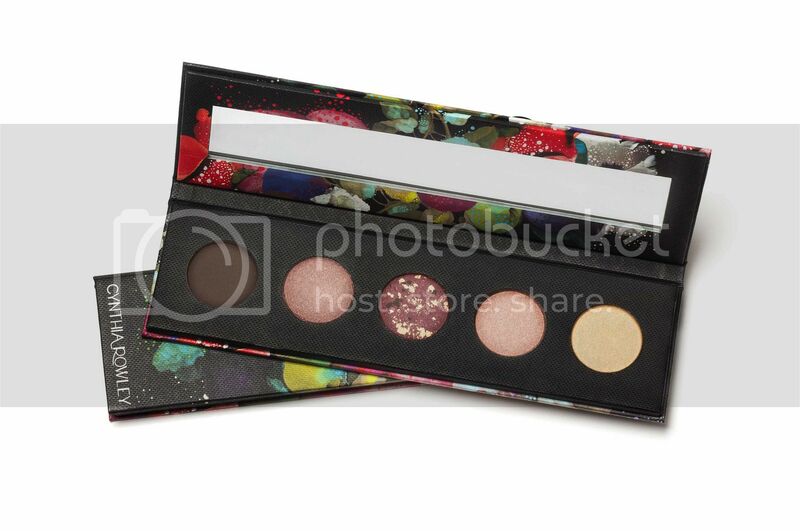 Cynthia Rowley Beauty Collection Eyeshadow Palette No. 1: Now, ya'll know how much I love a good neutral palette, right? Well, this lovely neutral Palette No. 1 from Cynthia Rowley is right up my alley. The palette contains 5 generously-sized eyeshadow pans in a range of warm-neutral shades. 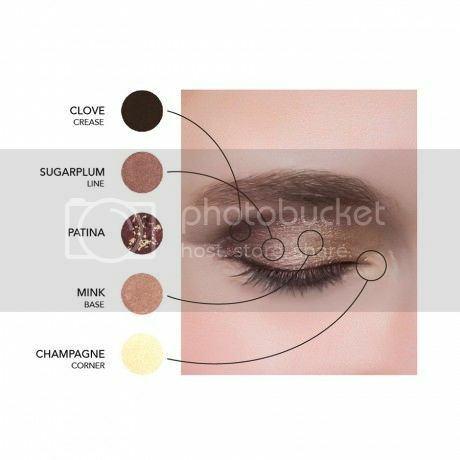 Going left-to-right, there is Clove:a deep matte brown (great as a liner or for a smokey look), Sugarplum: a medium taupe with a satin finish, Patina: a multi-colored cranberry-brown shade with a satin finish, Mink: a medium-light golden brown with a satin finish, and Champagne: a light shimmery gold. These shadows all pack a nice smooth texture and deep pigmentation. Fabulous quality and wear! Plus, can I just mention how pretty this palette is? You just know that you are going to get an artistic flair with Cynthia Rowley, right!?!? The palette design is a colorful floral-like print over black on a cardboard-type palette case that has a magnetic closure. The inside of the palette features a long mirror. To me, no eye look is "complete" without eyeliner!!! This Cynthia Rowley Beauty Liquid Eyeliner is so darn easy to use. Even if you normally fear the application of a liquid, there are no worries with this easy-to-use felt-tip pen style liquid applicator pen. The tip of the pen features an ultra fine point. you can get a super thin line and adjust the pressure you use to get a thicker line. It literally takes 2 seconds to create a gorgeous winged liner look with this Cynthia Rowley Beauty Liquid Eyeliner! I adore it!!! I tried out this eyeliner in black. The color came out super dark and black. Plus, it wears all day with absolutely no smudging nor fading! Special offer: Use promo code CYNTHIAROWLEYBEAUTY to get a FREE Cynthia Rowley Beauty Liquid Liner in Black Ink—a Birchbox exclusive ($18 value)—when you purchase a 12-month women's gift subscription or the Birchbox Ultimate Collection. But hurry, quantities are limited!